Go directly to the websites of top hotels in New Jersey NJ - from discount deals and affordable hotel rooms for the budget traveler to the best luxury four star and top five star hotels. You can also search for lodging that caters to your specific needs, such as extended stay hotels, family friendly, hotels for business traveler / event planning, suite / boutique hotels and much more. Situated on the waterfront Financial District of Jersey City, our AAA/CAA Four Diamond hotel offers spacious guest rooms and inspiring views of Manhattan. Escape to the serenity of our 429 Jersey City accommodations and treat yourself to a stay in a one of our elevated rooms for stunning views of the NYC skyline. Experience the rejuvenating Heavenly Bath and the signature Westin Heavenly Bed, perfect for a blissful night's sleep. Take advantage of our location, just 200 steps and a quick PATH train ride to NYC and walking distance to great restaurants on the Hudson waterfront. 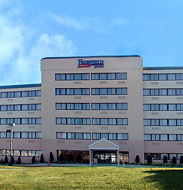 Set among the stunning Ramapo Mountains, Sheraton Mahwah Hotel is located in the Crossroads Corporate Center and is accessible to I 287, RTE 17 & the NY State Thruway. 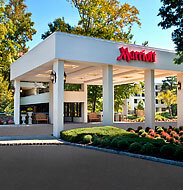 A mere 40 minutes outside New York City, our Mahwah, NJ hotel allows you easy access to both the Big Apple, as well as internationally renowned shopping at Woodbury Commons. Elevate your evenings and recharge in our indoor pool before sampling local fare at Fountainview Restaurant. 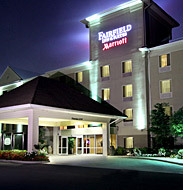 Easy access to the Big Apple awaits on your next trip to the NYC Metropolitan area. Step onto the NY Waterway ferry, just outside our door, and enter Manhattan in minutes. Elevate your experience in one of our beautifully appointed, 343 expansive rooms & suites or recharge in our heated, indoor pool. 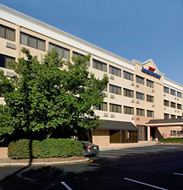 Situated close to Hoboken, Jersey City, MetLife Stadium and more, the perfect location is yours at Sheraton Lincoln Harbor Hotel. Nestled along the Jersey Shore, just a few steps from the famed boardwalk, the Atlantic Ocean provides gorgeous panoramic views and the ultimate setting for your luxury getaway. The Berkeley's coveted beachfront location has convenient proximity to an array of local hotspots and activities, and it is only an hour away from Philadelphia and New York City, making it easily accessible. Head to the Tiki Bar and enjoy a cocktail poolside under the private cabanas or indulge in the premium amenities for the highest level of relaxation. Or you can soak up the sun on the beach year-round and head to the legendary Stone Pony rock club nearby in the same day. The nightlife is diverse and if you stroll along the boardwalk, you are likely to discover other beaches, great shopping, and delicious dining options. 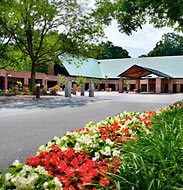 Check out the most popular hotels in New Jersey from the Top 10 list below. 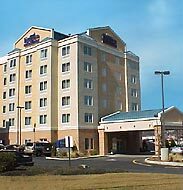 Find hotels rooms, hotel booking, hotel deals, New Jersey hotel reservation, motels, hotels cheap, hotel reservations, New Jersey hotels deals, hotel offers, booking hotels and more! !